If there’s one thing we love here at Beauty Aesthetic, it’s a bit of skincare. We are always on the hunt for the perfect regime that’s really going to transform our skin, so we were thrilled when natural skincare experts Monu asked us to try out some of their products. 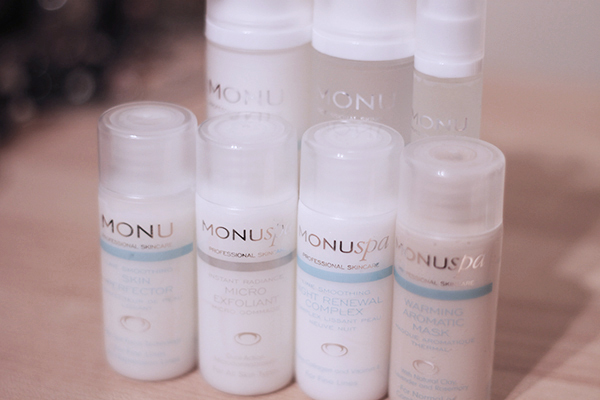 They very generously sent us each one of their Monu Little Beauty Bags for Normal/Combination Skin which was crammed full of goodies to keep our skin looking fresh and feeling great. This came in very handy recently when we had to travel down to London as the small size and plastic bag meant it was mini facials all round on the long drive down (and a few funny looks from our fellow coach passengers). Here is what was crammed inside our little bags. Packed full of skin calming and softening ingredients such as Jasmine, Calendula, Wheat Germ, Peach Kernel and Aloe Vera this cleanser is a great everyday option that’s suitable for all skin types. This left my skin feeling squeaky clean and refreshed and was great at removing even stubborn waterproof make-up! This refreshing toner was a firm favourite with both of us. The witch hazel really helped reduce the visibility of pores and the scent from the essential oils was so uplifting. Definitely one of the best toners we have tried. I loved the pump action as it meant no product was wasted either and it’s great for travelling as it means no mess! When it comes to eye products, I’m a little sceptical. Probably because I’ve never actually found a product that’s made much of a difference to my eye area. However, this was a lovely cooling gel that really does help perk up my eyes when I’ve had a late night or need a little refresh. This is a great hangover cure ha ha! If I were to list all the notably great ingredients that are crammed into this moisturiser I’d be here all day. A cocktail of vitamins, essential oils and other skin loving ingredients come together to make a really luxurious everyday moisturiser. I cant comment too much on it’s ability to help fine lines and wrinkles as I am only 22, but my skin felt plump, super-soft and very well looked after which can only mean good things. I’ve never really committed to a night cream before, but this was a surprisingly welcome addition to my skincare routine, especially when travelling and my skin is needing a little extra TLC. The wheat germ and almond oils really helped soften my skin and I quite enjoyed waking up to baby soft smooth skin! One of my favourite parts of my skincare routine is exfoliating as it has instant results. This was a lovely exfoliant but perhaps a little too gentle for me. I like quite a rough grainy textured exfoliator and this one was very luxurious and creamy feeling. It still did the job and left my skin polished and smooth. I forgot how much I loved warming masks until I tried this. This is a super luxurious at home spa treatment, so moisturising and rich, my skin was left looking refreshed and pampered. 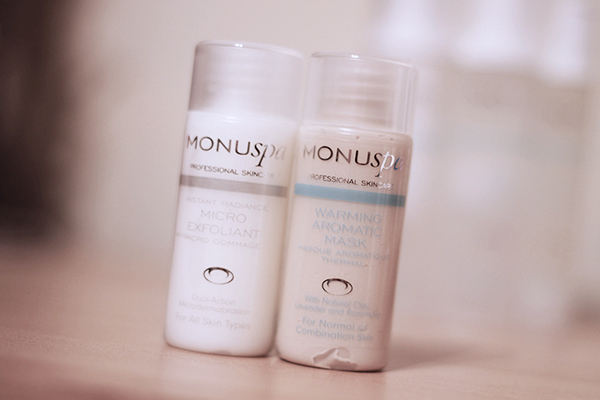 It was so kind of Monu to send us these products to try and they are currently my favourite travel companions whenever I am away from home. I can’t wait to try more luxurious products from the brand. 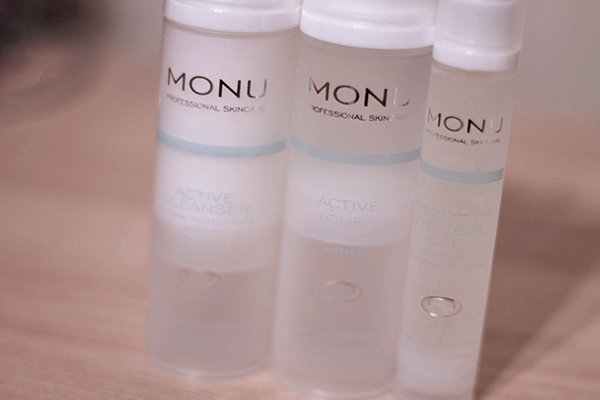 Have you guys tried any Monu products?